A Collection of Pictures that display the Emotions of AGONY AND ECSTASY. Most common in sports but also a part of life around the world. How many do you know? Some answers are provided. For some pictures, Answers will be posted the following day. Write your answer in the comment box. Answers will be provided the following day. Ecstasy and then she lost her cell phone? Why is she so ........ Happy? 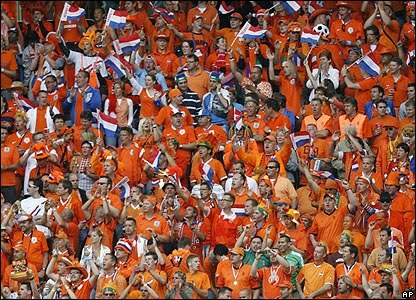 Dutch Fans sure were in Ecstasy today! Please share your pictures and / or stories about Fanatical Fans. World Cup 2010 Agony and ectasy: an Italian supporter looks nervous while watching the 1-1 draw against Paraguay.